Extra Strong Tips | Long Lasting | Produces Perfect Lines Every Use. FROM DOODLING TO TECHNICAL DRAWING. 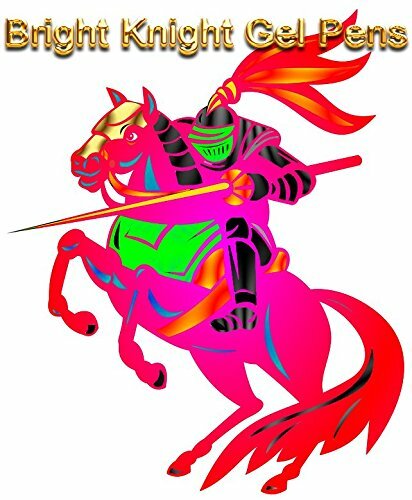 Favored by many graphic artists, Artists, Students and teachers for their bold colors and solid lines. They use the same basic mechanism as roller-type ballpoint pens, but the ink inside is thicker than standard ballpoint ink. The bright inks used in these pens Have Added Properties for Dynamic visual Effects. 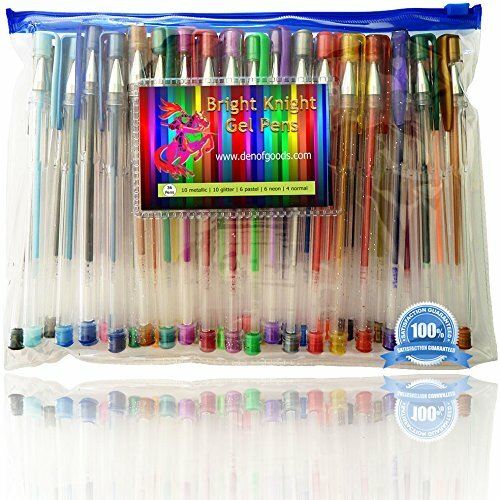 These Gel Pens have been developed to use the latest Ink and Ball point Technology, Allowing for Trouble free use every time. As I have stated previously I do not use these pens they are purchased for my wife by my wife who assures me that they are excellent, if they weren’t, she would not keep reordering them she would look for something else. Wonderful diverse set of pens in many different colours, received really promptly. Very excited about what we can create with these pens. We bought this 36 pen set by Bright Knight to use with a detailed colour by numbers book that we purchased. 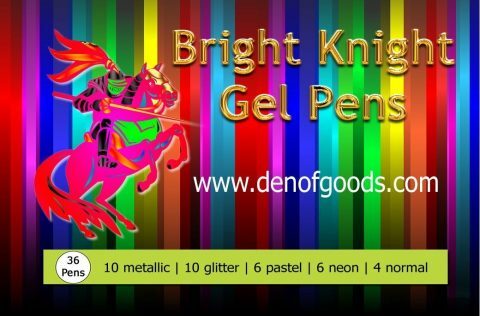 This pen set contains 10 metallic pens, 6 pastel pens, 6 neon pens, 10 glitter pens and 4 gel pens in a range of both solid and metallic colours. 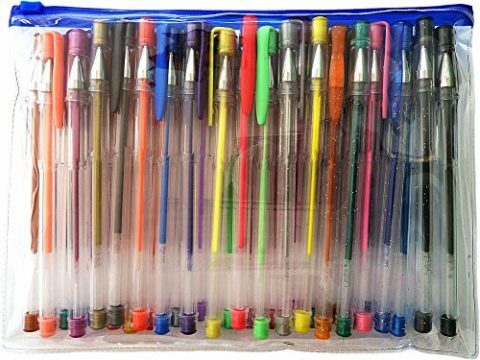 The pens come in an easy storage box which enables you to select the colour you need quickly. All the pens write and colour smoothly with dense colour plus are non-toxic. What we particularly like is that the inks don’t seep through the pages of the colouring book.In summary, these pens look and feel like quality items at a realistic price and the impression is underpinned by Bright Knight’s No Quibble Guarantee. Recommended. These are just what I was looking for, for the art that I do. 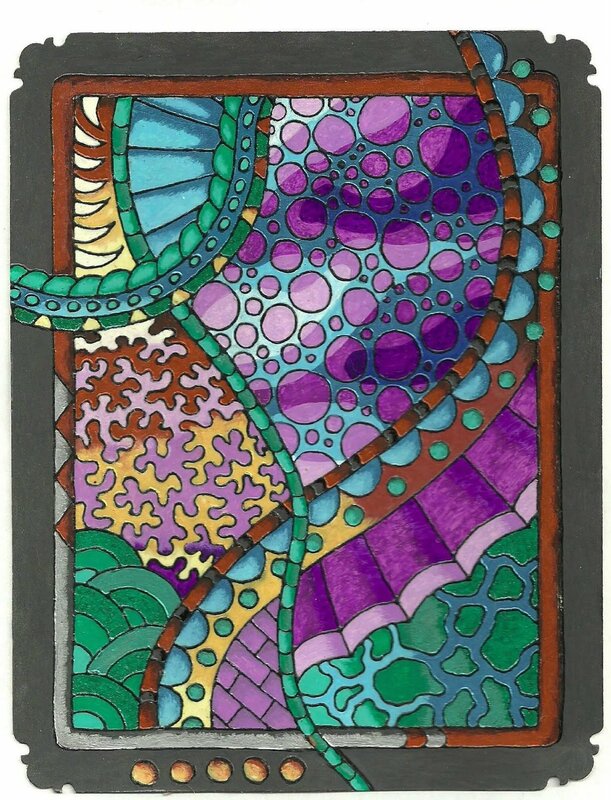 They work beautifully, gliding over the paper. They have a nice finish. The glitter and metallic ones really shine.I had a problem as one of the pens had leaked during delivery. But the company quickly resolved that by sending a replacement. Lovely vibrant colours giving very smooth application. 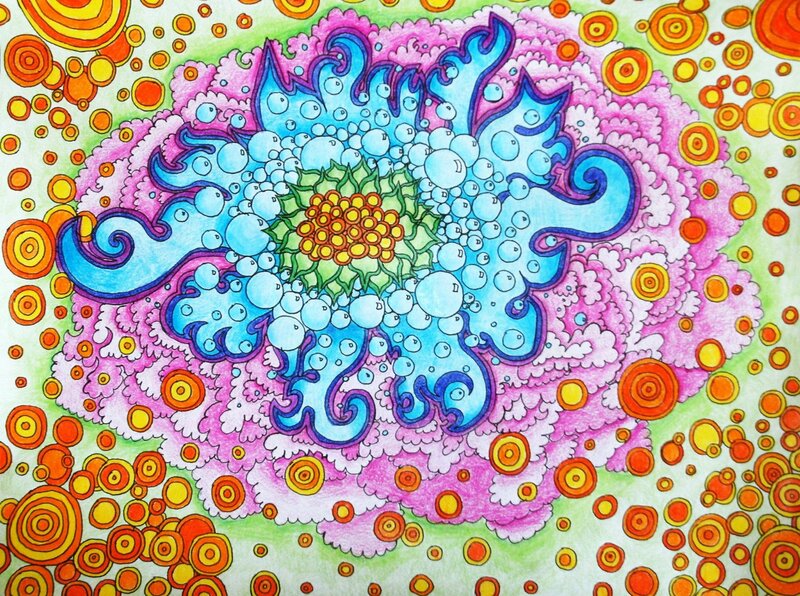 It makes my new hobby of colouring in for adults a very pleasant pastime. I would recommend these gel pens to anyone with a colouring book.